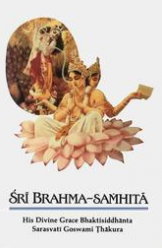 Today we celebrate the appearance day of Srimati Radharani with a quote from Srila Rupa Goswami and an excerpt from Srila Prabhupada’s Srimad Bhagavatam purport. She appears at noon. “O Radharani, O Queen of Vrindavana, Your complexion is like molten gold, Your doe-like eyes are captivatingly restless, a million full and brilliant moons wane before Your lustrous countenance, and a blue sari, having stolen the hue of a fresh rain-laden cloud, has enwrapped Your exquisite form. O Radha, You are the crest-jewel of all the dallying damsels of Vrindavana, fragrant and pristine like a budding jasmine flower. 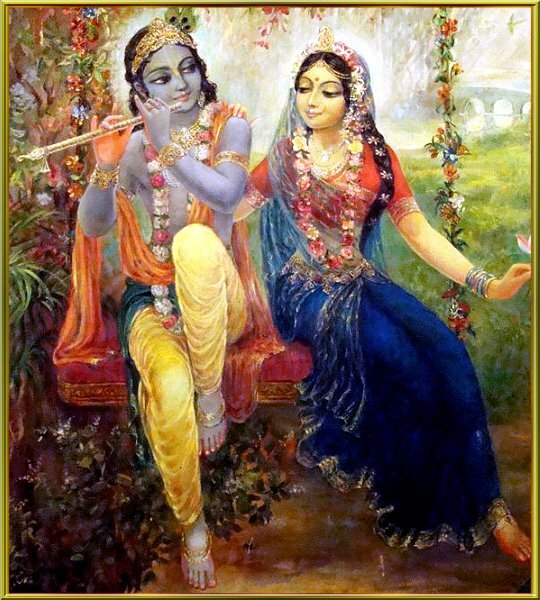 Your sublime form is adorned with priceless jewelry, and you are the best of all the charming and intelligent gopis. You are decorated with all wonderful excellences and surrounded by eight dedicated and beloved cowherd girls known as the asta-sakhis. Glories, Glories to Srimati Radharani, the beloved of Madhava and most worshipable of the cowheard girls of Gokula Mandala! 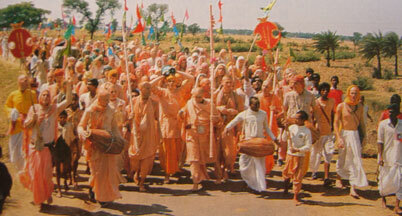 From the ocean of Vrsabhanu has arisen a new moon which is overwhelming the qualties of Lalita and Viskha.